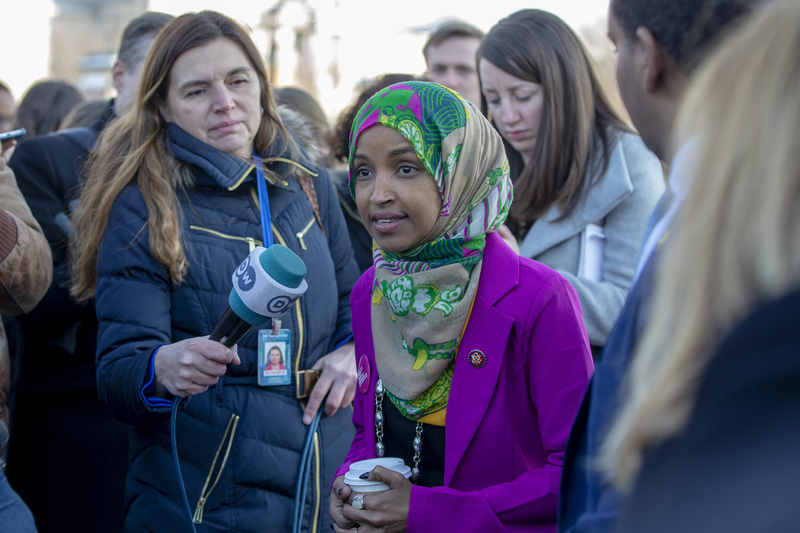 Back in 2016, Democratic Minnesota Rep. Ilhan Omar wrote a letter to a judge requesting a more lenient sentence on behalf of a Minnesota man who was accused of trying to join ISIS. Abdirahman Yasin Daud was one of two young men arrested in San Diego in April 2015. They were a part of a larger group of nine that was arrested for trying to join ISIS. Daud specifically was caught trying to buy fake passports in order to travel to Syria. Federal prosecutors requested Daud spend 30 years in prison followed by a lifetime of supervised release. CBS4 also reported at the time that text messages from Daud to a terrorist in Syria detail a very specific plan, including what their alibis should be. The entire letter can be read on Fox9. Daud ended up being sentenced to 30 years in prison by Judge Davis after being found guilty of conspiring to provide material support to a terrorist organization, and conspiring to commit murder overseas.